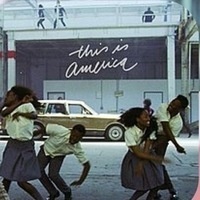 Unpacking Childish Gambino's "This Is America"
Dr. Ashley Woodson will facilitate a discussion to unpack Childish Gambino's music video/song "This Is America" released this past summer. Sponsored by the College of Education -The Bridge, the College of Engineering - Diversity and Outreach Initiatives and the Gaines/Oldham Black Culture Center. Ashley N. Woodson is an Assistant Professor of Social Studies Education. She uses qualitative methods and critical theories of race to explore Black kids’ performances of citizenship and activism. Dr. Woodson is particularly interested in the civic stories adolescents tell as they think through intersections of race, gender, sexuality and religion. She received her Ph.D. from Michigan State University. Dr. Woodson is inspired by haiku poetry, Afrocentric graphic artists, humorous protest posters and 90s R&B. She has published in Urban Education, the Journal of Lesbian Studies, the International Journal of Qualitative Studies in Education, and Theory and Research in Social Education. Her work has been funded by the American Educational Research Association, National Science Foundation and Spencer Foundation.